Need to discover your true strength? Are you in search of profound truth? 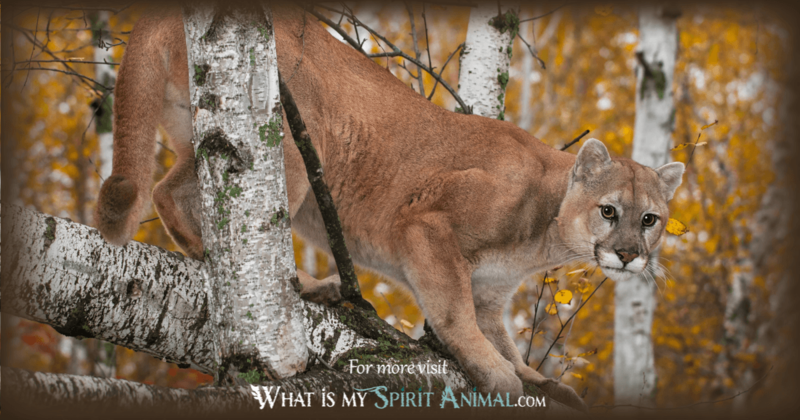 Cougar as a Spirit, Totem, and Power Animal can help! 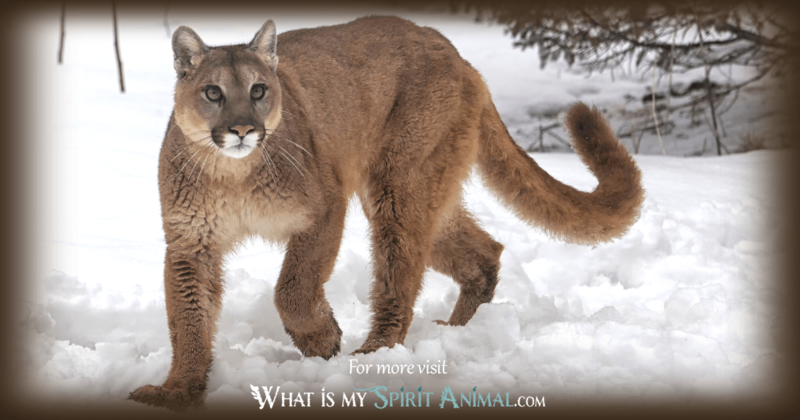 Cougar teaches how to find your inner ferocity and innate psychic awareness. 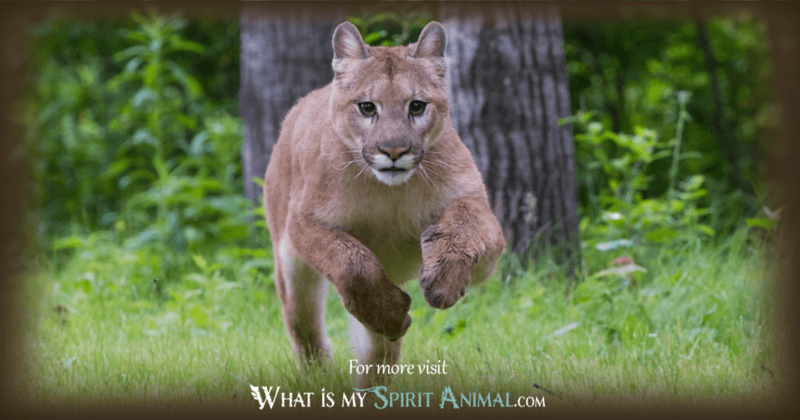 Delve deeply in Cougar symbolism and meaning to find out how this animal spirit guide can inspirit, enliven, and animate you! What’s up pussycat? When we are talking about the meaning and symbolism of Cougar, that’s a big question – so big, in fact, that Cougars are the largest felines in North America. Cougar in Her natural habitat tells us much about the energetic correlations for this Spirit Animal. Cougar is an excellent solitary hunter and very protective of their cubs. There is little hesitance in Cougar’s actions. Her Goddess-like strength, insight, decision-making skills, and leadership shines brightly. If Her cubs are in danger, cougar attacks swiftly and effectively compared to her patient, methodical tracking skills. Spiritually speaking, this translates into listening to our inner voice, keeping our eyes and ears open, and waiting for the right moment to seize the opportunity. Walking with Cougar Spirit challenges us to greater authority, particular esoterically. Cougar Medicine wants us to seek out answers and find our truths with fierce diligence. Nonetheless, this may not be a “fast” track to enlightenment. Some of the greatest mysteries remain such even beyond this life so the key is living mindfully of the moment-to-moment lessons that carry us forward. Cougar encourages us to look at our life differently. It’s a personal moment – you should feel appreciated for who you are, not what others want you to be. Cougar Animal Spirit stalks out your fears so that you can accept love, especially from yourself. There is no blame or guilt in self-actualization! When Cougar makes appearances in your life, it may be very subtle. One of Her gifts is the ability to move silently, finding what She needs and avoiding potential predators. Cougar simply knows self and doesn’t seek out constant support from external sources. Ultimately Cougar’s message is trusting your soul to carry you through the life experience you most need. As Cougar energies begin making themselves known it signals a time of growing self-confidence. You will embrace your power and honor it. Whatever the situation it’s time to take control, to lead. Opportunities open to you. Follow Cougar Spirit’s steady, careful intention and guidance. It’s very important to keep your mind and spirit clear so you make the best choices. Cougar walks a balanced path between assertiveness and gentleness. This balance gives you greater control over your personal energy and sense of self. In this, the Cougar’s lesson is that being proud does not necessarily mean letting ego run wild. 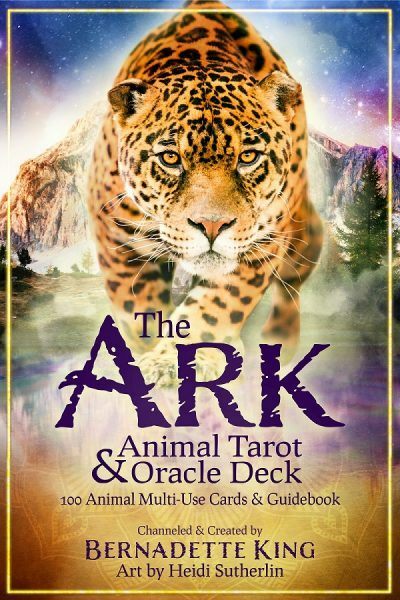 This Spirit Animal supports your mystical self and bolsters psychic instincts. She brings bravery, adaptability and inner fortitude on Her Path. For women or men seeking greater connection with the Feminine Divine, you could ask for a better Spirit Guide. Cougar helps you walk the path that’s patient and wise without overlooking the wild within that drives gut instinct. It’s interesting to note that Cougar does not roar like a lion but rather screams Her messages. Sometimes we all need that moment that says, “Listen to me!” and thus Cougar shows you the way to release your true voice and inner warrior as a means of overcoming even dismal odds and fears. Cougar is a powerful and intense Totem with which to be born. The people who carry Cougar are natural leaders who inspire everyone around them. You will notice that Cougar people are also very territorial. You will always know when you’ve crossed a fine line – it is best to honor Cougar’s boundaries. If Cougar is your Totem, you can be nearly invisible when you want to. You jump on opportunities quickly and adjust to new responsibilities with unique poise and charm. Additionally, many people see you as “larger than life” particularly when speaking. This is both a blessing and challenge for Cougar but can really work to their advantage when used properly. When on the hunt for a new situation, home, relationship, etc. Cougar people are relentless until satisfied. They follow their instinct and body memories looking for the best choice. Cougar people succeed best when they trust their Totem to keep them from over-thinking the mundane. Now, this doesn’t mean Cougar people should relinquish all rationality – there is always the chance that the hunter could become the hunted in an odd turn. So, prudence is something that those with a Cougar Totem should keep in a handy back pocket. Call on Cougar as a Power Animal when you want to claim your space, increase your courage and discover your power. If you suspect something sneaky is afoot, Cougar helps you move stealthily during inspection so you can get a closer picture. Don’t rush this – cougar waits as long as it takes to seize the moment. 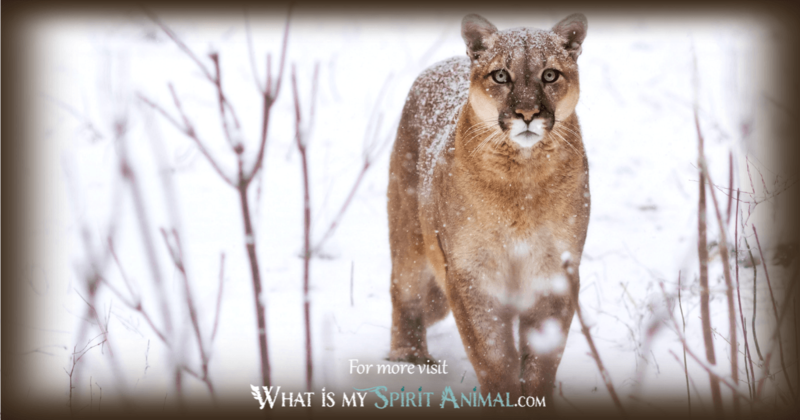 Light Workers feel that Cougar is a good guide when you are taking time to focus on your spirituality and psychic senses. One way of channeling Cougar Medicine is through an expressive art. Be aware that Cougar can be surprisingly fierce, but never without cause. Treat this power animal respectfully and listen to Her counsel. In some Native American traditions, Cougar Spirit has ties to witchcraft and hunting medicine. Some tribes consider Her the guardian of the Northern sphere of creation whose color is yellow. Carrying the image/fetish of a Cougar brings safety and a successful hunting expedition. South American tribes trusted Cougar for wealth and luck. Cougar Spirit Animals are highly respected because of their innate awareness of their capabilities. The Cougar seeks the best with self and those with whom She chooses to share her magic. Cougar leads, brings stability, and is a problem solver. Native American stories depict Cougar as a creature of great prowess, intelligence, and agile diversity. Female Cougars embody the Earth and teach reverence for sacred spaces. They are also often gatekeepers for the Ancestors and the spirit realm. Cougar can be petitioned to bring a human’s case for forgiveness to higher powers. She is also an ally for Shamans who must walk between worlds gathering information. The appearance of Cougar in your dream space can have many meanings. Some believe it’s a message about sexuality and passion. Are you seeking a powerful partner in bed (or is your current partner not really embracing what satisfies you)? Cougar has very Feminine overtones so She may be telling you to explore that side of self. Pay attention to your instincts and emotions, and honor your personal boundaries. Cougar has many other potential meanings and symbols in the Dream Time. You can learn more by using our Dream Dictionary HERE. The Native American Zodiac tells us that those born between Feb. 19th and March 20th are born under the sign of the Cougar. These people are patient, adaptable, graceful, and profound, and often quite the mystery to even their closest circles. Cougar attracts other sensitives and those with a big heart. Friends and family see Cougar as dedicated to family and to find the right Path.